Even though malaria still kills one child every minute, the vast majority of those infected still survive, with roughly 200 million new infections every year. 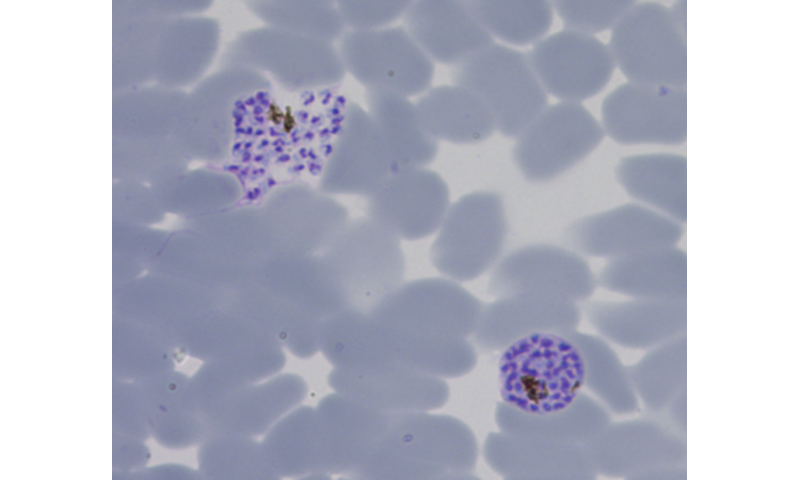 A new study has shown that the infectious agent responsible for malaria, the Plasmodium parasite, is able to to sense and actively adapt to the host's nutritional status. 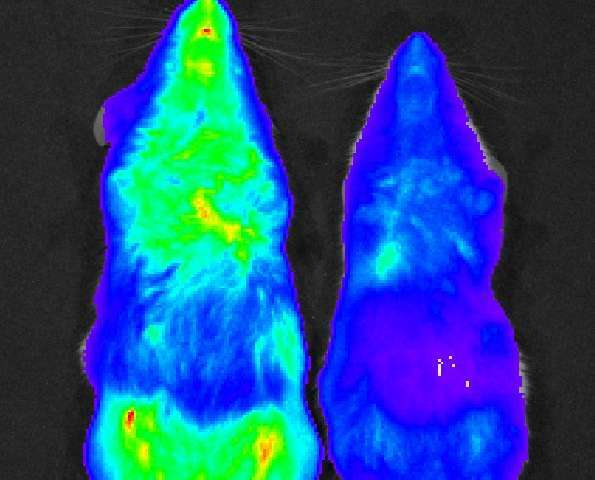 Using mouse models of malaria infection, scientists led by Maria M. Mota from Instituto de Medicina Molecular in Lisbon (iMM Lisboa), found that mice who ate 30% fewer calories had a significantly lower parasite load. Plasmodium parasites reproduce inside red blood cells every 48 hours. The study in Nature reveals for the first time that the parasite's rate of replication depends on the calories ingested by the host. 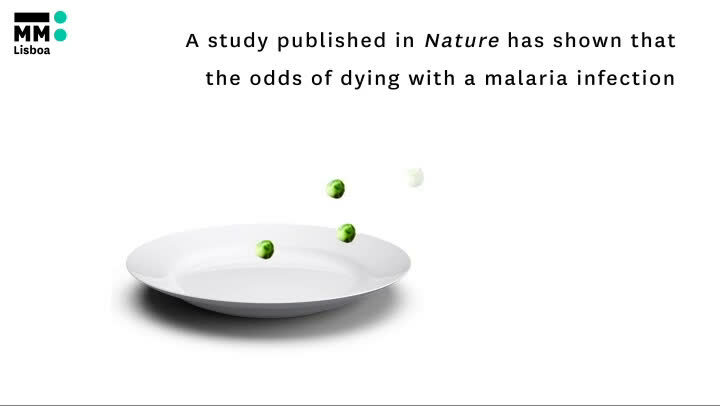 This may ultimately dictate the outcome of a malaria infection: survival or death. "This finding alters our understanding of the dynamics of malaria infections in the field and might be highly relevant facing the alarming trend of global increased overweight versus underweight populations, including in malaria endemic regions", says Maria M. Mota. Initial findings were greeted with some surprise. "For several months I was stunned by how quickly these parasites adapt," says Liliana Mancio-Silva, the study's first author. "It was very exciting." There were two possibilities to explain the surprising observation: either the parasite was actively adapting when changed to a host with lower calorie intake, or instead was struggling to replicate due to the fact that some key nutrients were missing. "This is one of the best examples demonstrating that malaria parasites sense and adapt to their host's metabolic environment through transcriptional and developmental changes," said Manuel Llina?s, professor of biochemistry and molecular biology at Penn State University and an author of the paper. "Discovering precisely how this occurs may lead to new therapeutic intervention strategies to significantly reduce parasite burden." Researchers controlled the food intake of mice before infection with different Plasmodium parasites and studied their response. They found that parasites that were missing an enzyme called KIN had an impaired response to decreased nutrient availability, and replicated at the same speed, regardless of the food available to the mice. These results imply that KIN acts as a nutrient sensor and major regulator of parasites' ability to respond to nutritional changes, and that the malaria parasites adapt actively. Dr Oliver Billker, a collaborator on the research from the Wellcome Trust Sanger Institute, said: "This is the first time that anyone has seen that a parasite can actively restrict its growth to the environment and completely changes the way we look at parasite growth. While future research is still necessary to understand the full extent of these findings, it may well have implications not just for malaria, but also for other infectious diseases." The data was also surprising in the context that KIN does not have many of the expected features of other nutrient sensor molecules shared between yeast, plants and mammals. As such, these findings are just the tip of the iceberg. Future studies in parasite adaptation to host nutritional states will investigate how KIN is controlled and what are its partners. A better understanding of this system may help researchers design strategies that trick the parasite into slowing its replication to make it easier to control.